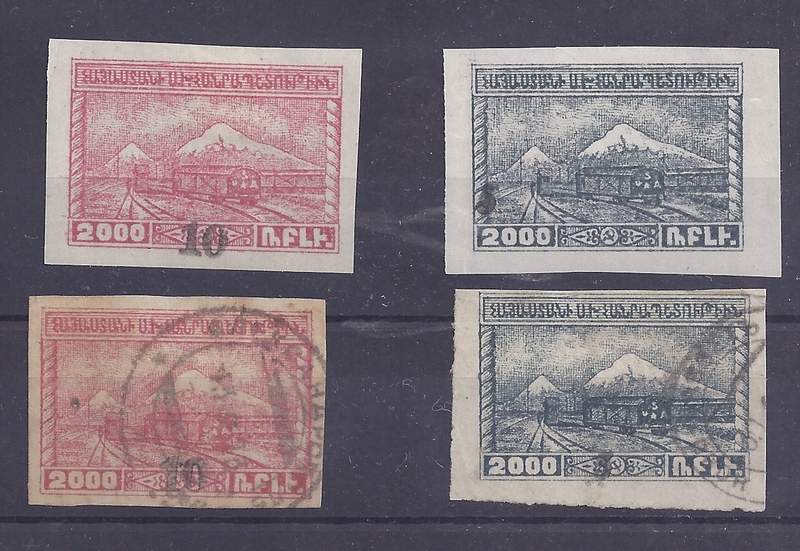 And here is a train leaving Yerevan Railway Station, pictured on stamps of the same 1922 Second Yessayan series. 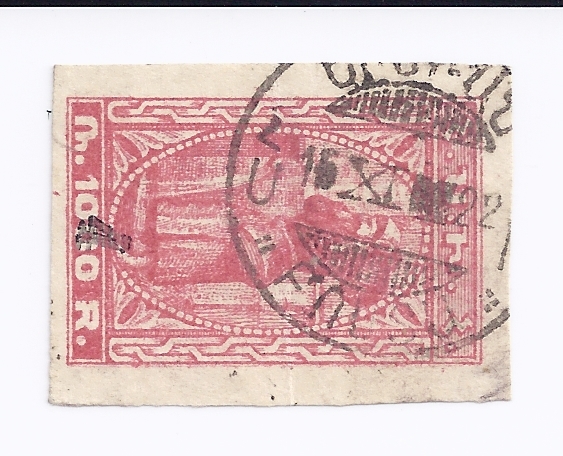 One writer (I forget the source of this) thinks that on the front of the train the three letters read "USA", put there as thanks for American famine relief work in Armenia, but I don't know if this is true. 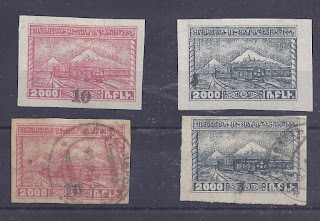 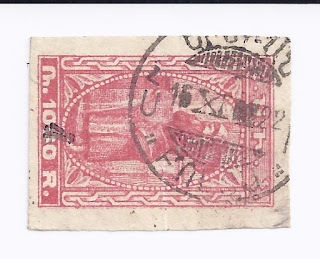 The group of four stamps is worth about 120 €uro - the mint stamps are hinged, the red used stamp with ALEXANDROPOL cancel is toned and creased; the grey stamp has part NOVO BAYAZET cancel.